Whether from some unexpected, big-ticket costs or just a steady lifestyle creep, it’s easy to turn to a credit card (or two, or three) to bail you out in your time of financial need. But while this seems like a quick and painless fix in the moment, paying off those balances may not be so simple when the bill finally comes. And once you have multiple card balances competing for your attention, things can get even trickier. If you find yourself in this credit card debt spiral, know that you’re not alone. Among U.S. households with debt, an average of $15,310 is from credit cards. To make sure you’re in a good place to start tackling your credit card debt in earnest, you should first look at your bigger financial picture. “Your emergency fund is the first focus before putting extra payments toward any credit card debt,” says John, who recommends stashing away at least one month’s worth of your take-home pay to start. That way, should any unexpected expenses come up, you won’t have to resort to using a credit card to foot the bill (again). Once that initial cushion is in place, you’re free to turn your attention toward your credit card debt, but be sure to keep adding to your emergency fund until you’ve reached your final goal, whether that’s three, six, nine months of your take-home pay. Next, John advises taking a look at your credit report (you can pull a free report from each of the three major credit bureaus—Experian, TransUnion and Equifax—once a year through annualcreditreport to ensure there are no errors and also to take stock of all your debts. You don’t want any forgotten balances slipping through the cracks when devising your payoff plan. Which Balance Should You Tackle First? If you’re like most people, you have more than one credit card, each with its own balance, minimum payment and interest rate. Once you’ve confirmed all of your debts are accurate and accounted for, note the stats for each card to determine the order in which you’ll pay them off. Think interest rates don’t matter? The average consumer spends more than $2,500 a year paying off interest alone. Focusing on one card at a time allows you to make the most progress in the least amount of time, since all of the funds you’ve set aside to pay down your debt can go toward one balance, instead of being split up among many. It’s also important to keep in mind which cards (if any) have introductory offers and when they’re set to expire, as this could potentially move those cards up on the payoff priority list over time. Set calendar reminders for when the APR is going to change, so you won’t be hit with any unwelcome surprises and can readjust your plan accordingly. 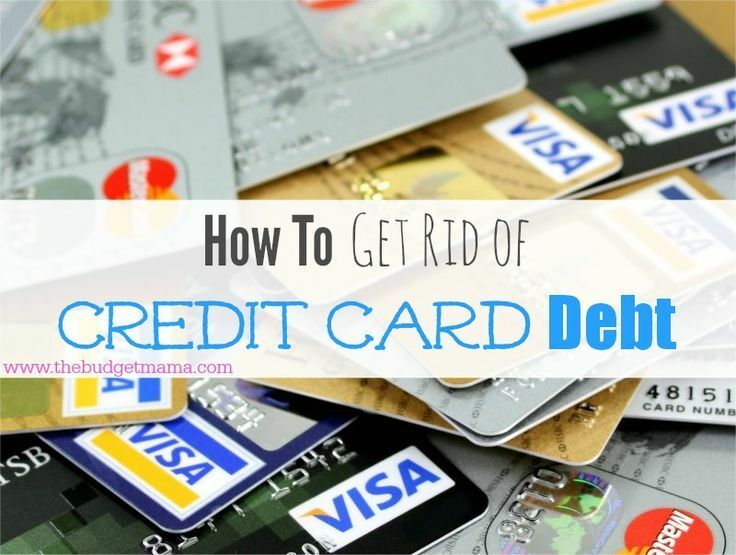 Once you’ve reviewed your budget, decide on a reasonable amount you can dedicate to your credit card debt, and then apply any extra amount to your top-priority card, making payments larger than the minimum until that card is completely paid off. (In the meantime, you'll be paying the minimum amount amount due on the cards lower on the priority list.) Once your top-priority card has been paid off, you can set your sights on the next one. And even though they may not be a priority at the moment, it’s important not to fall behind on your other cards. John suggests setting them to auto-pay for the minimum amount each month, so you can avoid dreaded late fees and your credit won’t be negatively affected. When you have multiple balances competing for your attention, even taking the first step toward debt-free living can feel overwhelming. But with these guidelines, you can take heart that progress is possible.